Palestinian President Mahmoud Abbas received on Sunday a congratulatory message on the occasion of Eid al-Adha from Syrian President Bashar al-Assad . 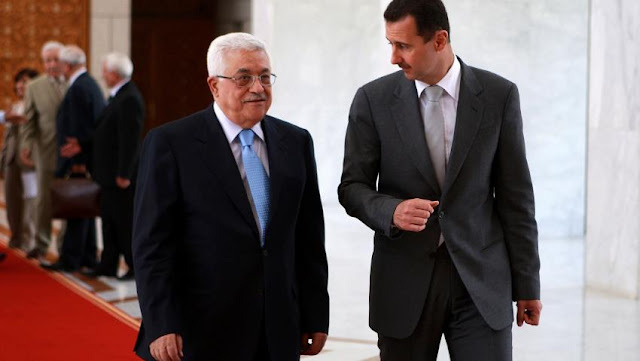 President al-Assad expressed his warm congratulations to President Mahmoud Abbas and the Palestinian people on the occasion of Eid al-Adha, and called upon God to restore [Palestine] to the Palestinian people and the Arab nation with blessings . There is not hint of embarrassment for this.